The Impression Obsession team's challenge today is to create a project using the colors of fall. I used my Layered Leaf clear set and I'm in love with this card! I thought a wreath card would be fun to try with the leaves, so my panel is an octagon die cut. 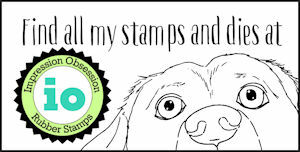 I started by stamping the first two layers of the leaf image on each side using Goldenrod hybrid ink, then after that, I skipped sides, and stamped those four leaves with Orange, Caramel and Chocolate. After those 4 leaves were done, I masked them and stamped the remaining layers with Peony and Plum inks. While the masks were still on, I brushed on a little more Plum ink where the images overlapped - it really made them pop when the masks were removed! Someone's going to ask about the brush I used - I purchased this set from Amazon and I'm happy so far! Here's a closer look at the leaves and layering - I brushed a little more Goldenrod ink around the corners and center as well. One more thing - the base layer is a piece of cardstock I've had on my desk for a while that I've used to catch excess ink or roll off my brayer - I was going to use a solid cardstock for the base, but I loved how the orange of the leaves looked against that green and turquoise paint! 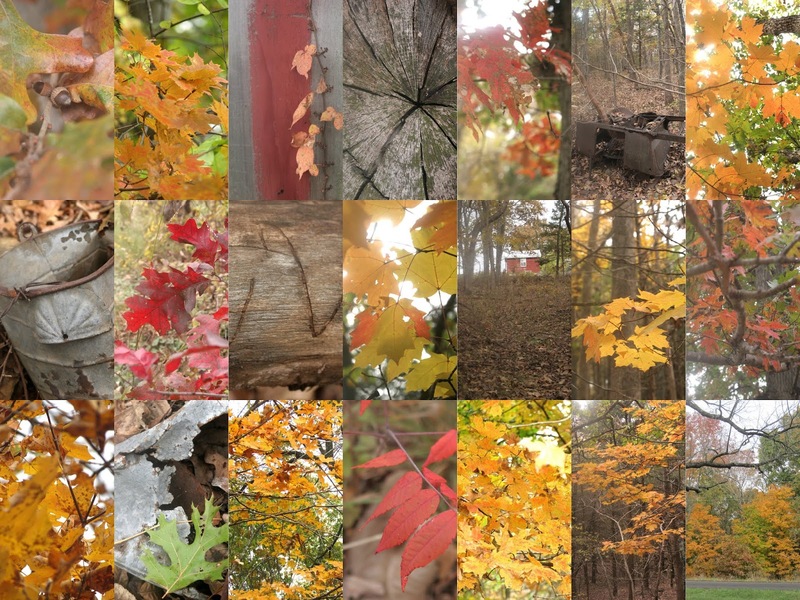 Speaking of fall colors, we had a beautiful fall here in Missouri - here's a collage from a stomp I took around our property a couple of weeks ago!